It's that wonderful time of year again and festive greetings cards are back in the web shop. 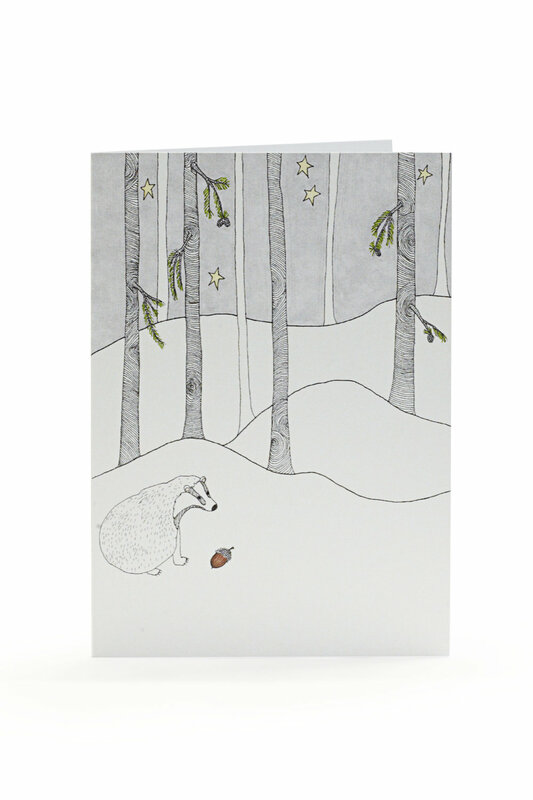 Sold in packs of 4 for £6, choose from Claude's Winter Walk and Badger Finds An Acorn. Both designs are printed in water based inks on recycled board and come with brightly coloured recycled envelopes packed in biodegradable packaging. The cards are left blank inside for your own message so you can use them for any occasion that you wish.